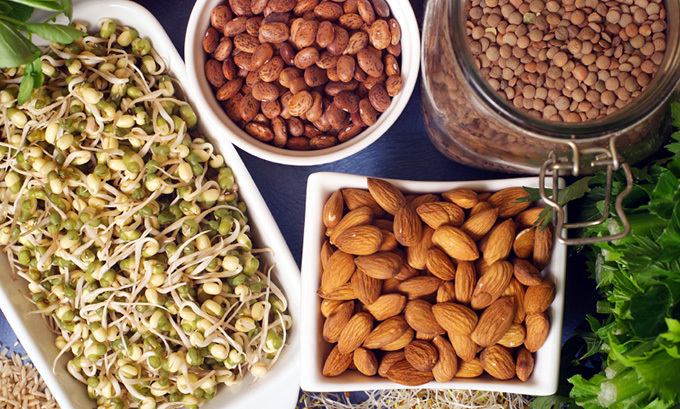 Are you planning on increasing protein intake in your diet or avoid meat for better digestion? If yes, you should know the importance of proteins first. Protein increases your immune function, improves muscle mass, helps you in managing your weight, stabilizes your blood sugar level and helps maintain strong bones. What should be your protein intake every day? We all need different levels of protein intake depending on your age, gender, weight and your body type. According to the USDA, the minimum recommended daily intake of protein is 56 grams per day for men and 46 grams per day for women considering they are of average weight and have some exercise. Listed below are some great meatless options you can try to avoid issues associated with low protein levels like joint pain, low energy levels and mood swings. Great planning is required to follow a vegetarian diet and still get the proteins your body requires. Make a list of the ingredients you are going to try and start cooking them. For beginners, you can choose from the below high protein sources. 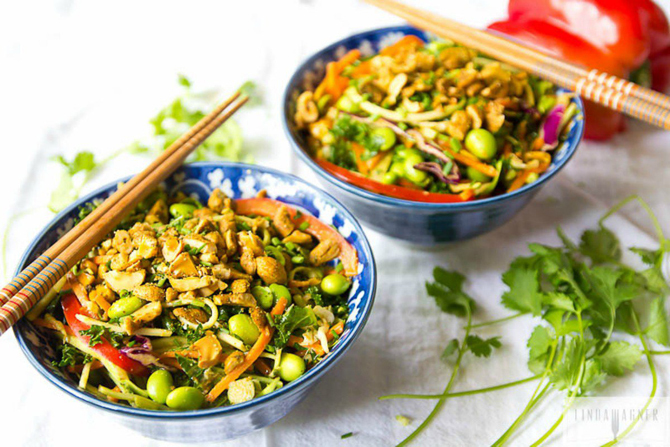 Soya is an excellent source of proteins. 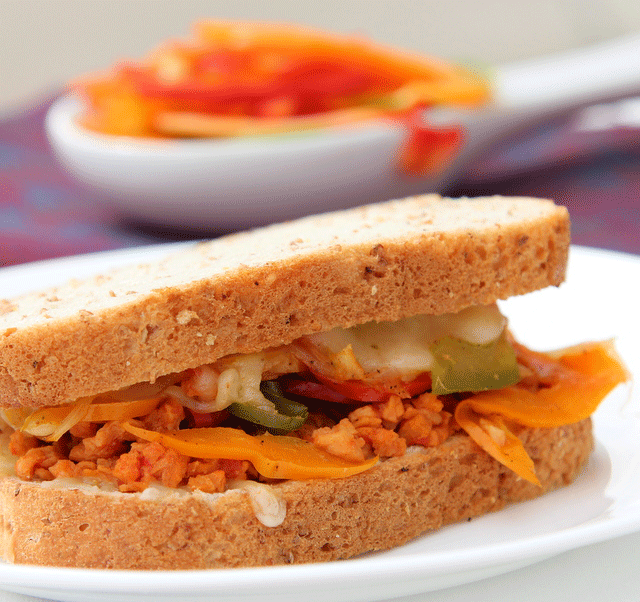 Often meat products like sandwiches, burgers and hot dogs are replaced with soya. As soya is known to be a highly processed food, it is better to try other foods mentioned below. Beans are extremely good for your heart. They are not only rich in fiber, calcium and iron, but are also a great source of protein. They make delicious soups and salads and provide essential amino acids required by a human body. 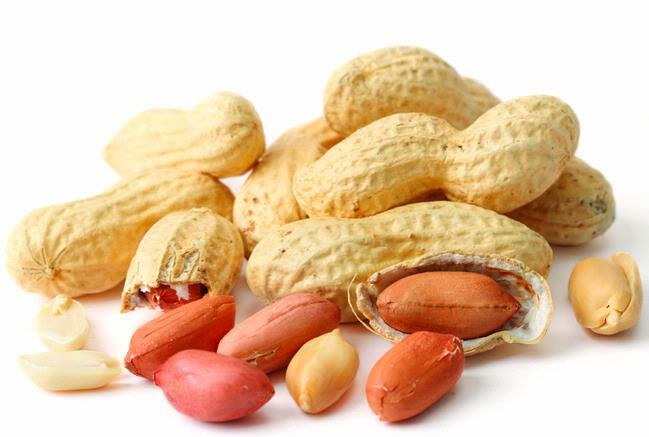 Unlike other protein foods, peanuts are very tasty and can be consumed every day. Try peanut butter for high potassium, magnesium and Vitamin B-6. If you are concentrating on losing weight, do not overdo peanut butter. 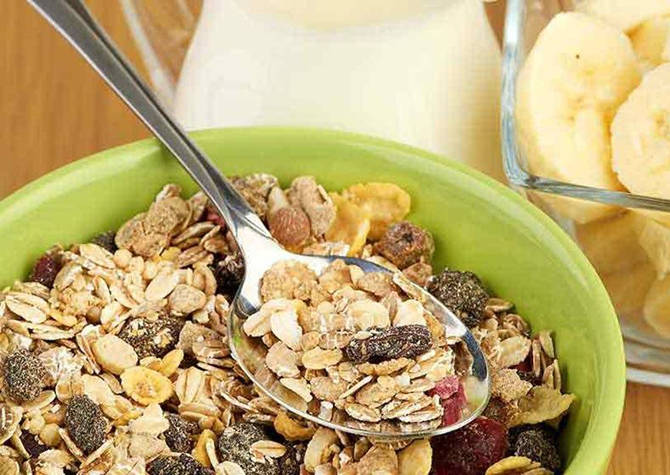 Muesli makes a great breakfast and brunch. Based on mixed, rolled oats, grains, fresh or dry fruits, seeds and nuts. 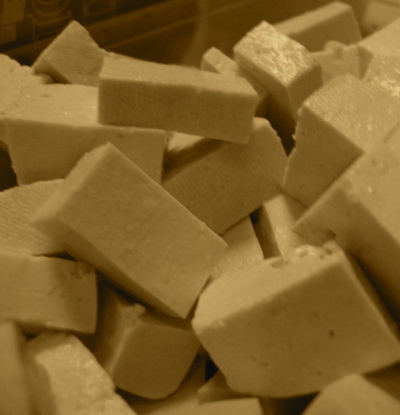 Tofu is a powerhouse for proteins. This is made of soybeans and substitute dairy products. It is also high in iron, calcium, selenium, copper, zinc and vitamin B1. 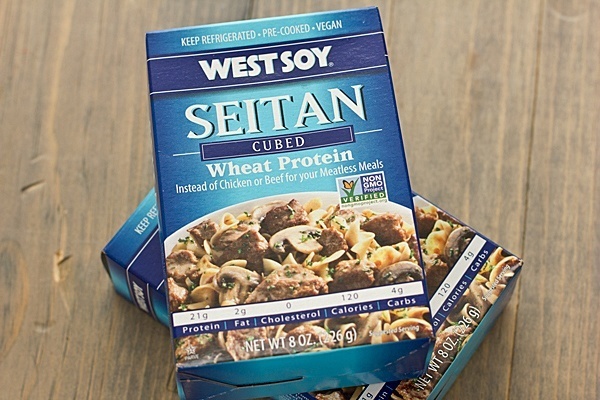 Seitan is made up of 75% of protein and is widely known as wheat gluten. Being low in sodium, carbohydrates, iron and calcium, this does not increase cholesterol. There are many vegetarian foods that are high in proteins. When it comes to protein intake, people think of protein shakes or main courses. Of course, these products have high protein level, but it doesn’t mean that your body can absorb it completely. You can also suffer with symptoms associated with high protein intake. Your body can take up to a certain level of proteins and the rest is simply flushed out. Therefore, spacing your protein intake over the course of your day is very important. You can also include protein snacks in your diet. Most of the time, people give up on meat, but eat carbohydrates and junk food to make them feel full. Instead of eating high carbohydrate foods like rice, bread or pasta, you can try high-fiber carbohydrates like whole grains, vegetables or fruits. This will help you in maintaining your weight while following a vegetarian diet. Go ahead! Give it a try. Protein shakes are great for people who work out. After your workout is a great time to drink your protein shake as it helps build muscles and also heal micro muscle tears. Another advantage of drinking protein drinks is that it only takes 30 minutes to break down and therefore reaches your muscles while solid food take a lot of time. The minimum amount of protein that you should take directly depends on your body weight. High protein drinks can also help you combat anti-aging effects. Talk to your trainer today and find out the benefits of protein shakes. After all, being a vegetarian is not all that boring. Don’t be afraid to experiment in the kitchen and make mouth-watering salads, soups and drinks. From smashed avocado sandwich to egg-free pumpkin pies, try your hand at every creative vegetarian recipe. Come up with your own recipe and share it with others too! Protein is made up of amino acids. There are few amino acids that your body can produce by itself, but majority of amino acids must get through food and cannot be produced by one’s own body. One has to eat a wide variety of high protein food to get a great mix of essential amino acids. The easiest and tasty way to kick in proteins is to have a cup of Greek yogurt. If you consume a cup of Greek yogurt instead of your daily snacks, you’ll easily meet your daily protein target. So, why wait? Go Greek! Brownies don’t have to be high in calories. You can just add a little bit of real chocolate, cocoa powder, peanut butter, water and baking powder and make your own protein brownies that match your protein level requirement. Feel free to experiment and you’ll realise in no time that it’s not too difficult to make a great brownie. All it takes is your interest, few ingredients and a little bit of your time! You don’t have to be a non-vegetarian to stay fit and healthy. A lot of youngsters are realising the importance of being a vegetarian and the bad effects of solid meat diet. If you are planning to become a vegetarian for a long time, but have been postponing it, it’s time to act on it. What are your favorite food for getting protein without eating meat? Share in the comments below!